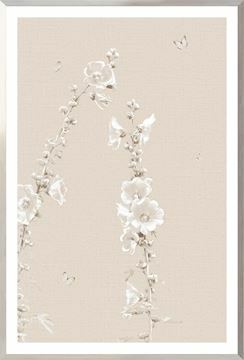 Delicate florals with hand embellishment. 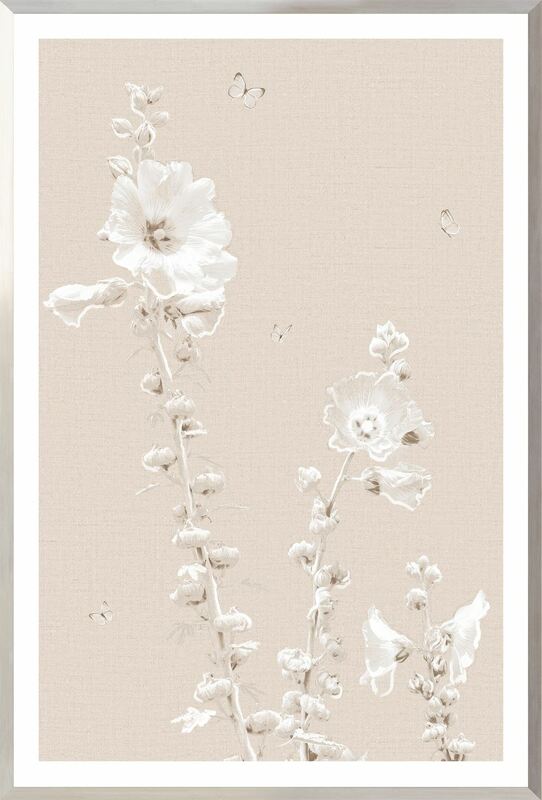 Finely detailed Hollyhocks gently bend in the breeze in these two beautiful images set against a linen-textured ground. Butterflies are subtly enhanced with an iridescent silver shimmer. 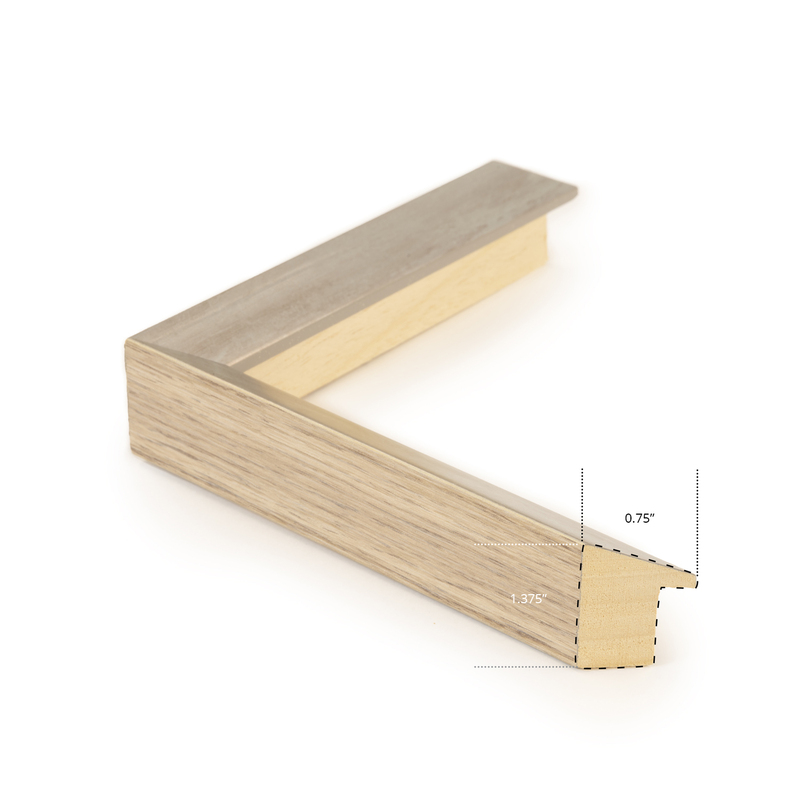 Framed in a contemporary, angled profile with a taupe wash and soft silver inner face.